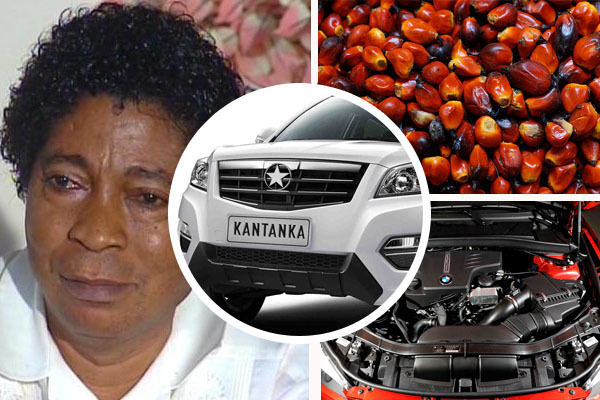 Seasoned Ghanaian industrialist, Apostle Kwadwo Safo has explained in details how he skillfully used palm nut to create an engine of a car. In a documentary spotted by this blog on Youtube, the renowned entrepreneur who was addressing his congregation revealed the secret to all findings. According to the leader and founder of the Kristo Asafo church, the mind and tongue are powerful tools that can shape one’s life or destroy it. Apostle Kwadwo Safo Kantanka also reiterated how he spent sleepless nights thinking about how can make improved his creative minds till he gets to where he wants to. He also narrated how palm nut is used to create the first car engine. So amazingly, the first palm nut car created engine worked perfectly.